Semiconductor physics and devices, Nano-structures and nano-fabrications, Quantum/spin-transport, Atomic layer deposition, High-k/III-V and Ge device integration, High-performance III-V and Ge MOSFETs, High-k/2D integration, High-performance 2D devices, 2D spintronics, All oxide electronics, and wide bandgap semiconductor GaN and Ga2O3 power electronics. Three papers on InGaAs MOSFETs (PDF), FinFETs (PDF) and GaAs interface studies (PDF) are accepted by IEDM 2009. Yanqing Wu's the first III-V FinFET work is selected as one of eight highlights for the coming IEDM. 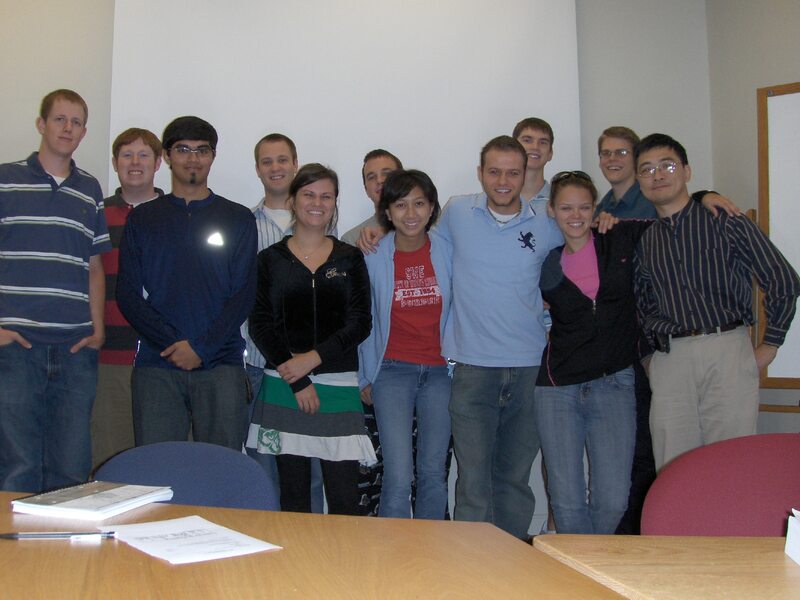 Peide Ye receives 2011 IBM Faculty Award. Jiangjiang Gu's breakthrough work on world-first top-down gate-all-around (GAA) III-V nanowire FET got a lot of attentions from CMOS and nanoelectronics community after IEDM report. Peide Ye has been selected by a panel of distinguished professors at Purdue to be a University Faculty Scholar. Jiangjiang's two papers on III-V GAA nanowire FETs are accepted by IEDM. They are "20-80nm Channel Length InGaAs Gate-all-around Nanowire MOSFETs with EOT=1.2nm and Lowest SS=63mV/dec" and "III-V Gate-all-around Nanowire MOSFET Process Technology: From 3D to 4D". The work is in close collaborations with Prof. Roy Gordon's group at Harvard University. Peide Ye has been named IEEE Fellow in December 2012. 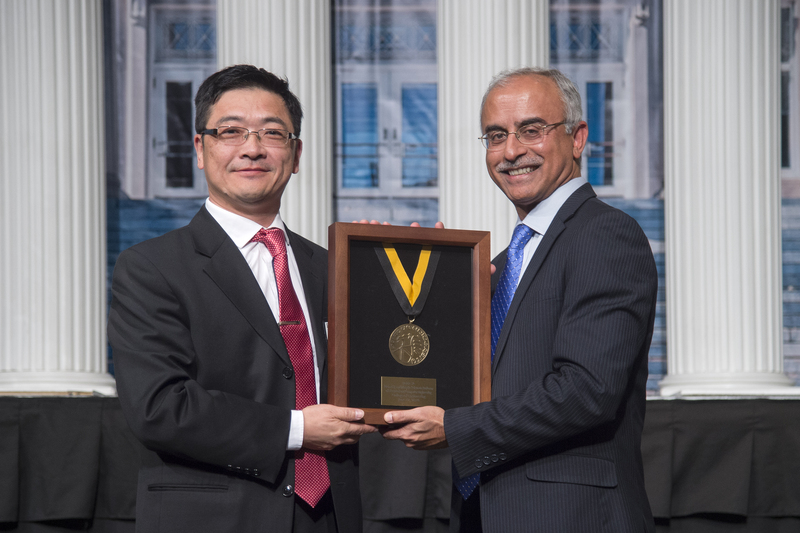 He was honored for his contributions to compound semiconductor MOSFET materials and devices. IEEE Fellow is the highest grade of membership and is recognized by the technical community as a prestigious honor and an important career achievement. Three papers are accepted by VLSI 2014 including one Late News Paper. They are Heng Wu's "Ge CMOS: Breakthroughs of nFETs (Imax=714 mA/mm, gmax=590 mS/mm) by recessed channel and S/D" and Lin Dong's "III-V CMOS Devices and Circuits with High-Quality Atomic-Layer-Epitaxial La2O3/GaAs Interface". The Late News Paper is Lingming Yang's "High-Performance MoS2 Field-Effect Transistors Enabled by Chloride Doping: Record Low Contact Resistance (0.5kΩum) and Record High Drain Current (460 uA/um)" in collaborations with SEMATECH and Intel Cooperation. "First Experimental Demonstration of Ge CMOS Circuits" by Heng Wu et al. "Deep Sub-100nm Ge CMOS Devices on Si with the Recessed S/D and Channel" by Heng Wu et al. "Low Frequency Noise and RTN on Near-Ballistic III-V GAA Nanowire MOSFETs" by N. Conrad, M. Si, et al. "Direct Observation of Self-heating in III-V Gate-all-around Nanowire MOSFETs" by Shin, et al. "Towards High Performance 2D Black Phosphorus Optoelectronic Devices: the role of metal contact" by Yexin Deng et al. Heng Wu won the Best Student Paper Award for the 2014 Symposium on VLSI Technology, one of the two most competitive conferences in electronic device field. Two IEDM papers are accepted by IEDM 2015. One is Heng's Ge nanowire CMOS and another is Jingyun and Mengwei's InGaAs nanowire with anisotropic etching. Heng Wu won the Best Student Paper Award for the 2015 Device Research Conference, one of the competitive conferences in electronic device field. Two IEDM papers are accepted by IEDM 2016. One is Lingming's black phosphorus device paper in collaborations with TSMC and AFRL. Another paper is from Shin and Prof. Alam, co-authoring with us, on self-heating effect on floating body transistors. Congratulations! 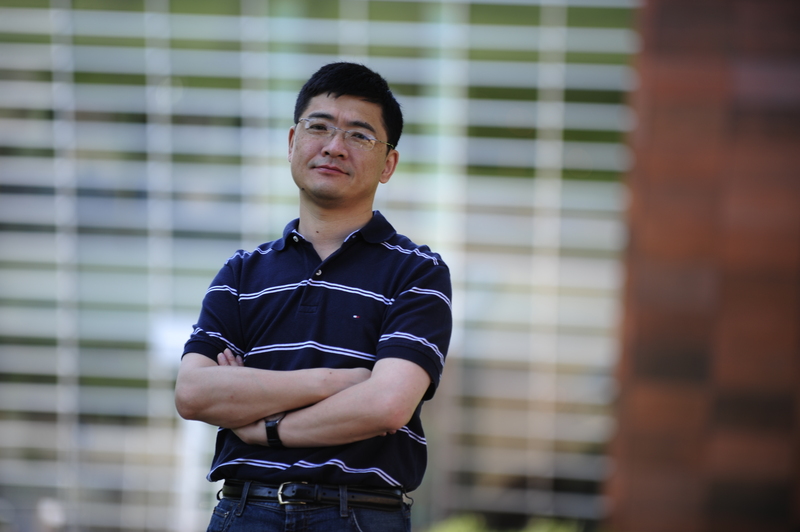 Peide Ye has been elected Fellow of the American Physics Society (APS). The citation is "For contributions to scientific understanding and technical development of transistor technology on novel channel materials." Peide Ye is the recipient of the 2017 CoE Faculty Award of Excellence in Research. Peide Ye is the 2017 recipient of the Sigma Xi Research Award. Peide Ye has been chosen as the 2018 Arden L. Bement Jr. Award recipient. As the top Purdue University research honors, the Bement Award is given for significant accomplishments in pure and applied science and engineering. Ye is being honored for his field-defining work in synthesizing and applying novel electronic materials to achieve record device performance. Congratulations to Mengwei! His "Steep Slope Hysteresis-free Negative Capacitance MoS2 Transistors" work was published in "Nature Nanotechnology". Congratulations to Gang Qiu! As the equal contributed first author, his "Field-effect transistors made from solution-grown two-dimensional tellurene" work was published in "Nature Electronics". Congratulations to Wonil, Gang, Sami, Pai-Ying, Jinhyun and others ! We will present 6 papers at Device Research Conference this year including 1 invited talk, 2 oral talks and 3 poster presentations. Congratulations to Wonil and Mengwei ! "First Direct Experimental Studies of Hf0.5Zr0.5O2 Ferroelectric Polarization Switching Down to 100-picosecond in Sub-60mV/dec Germanium Ferroelectric Nanowire FETs" work, in collaboration with NIST, was accepted by 2018 VLSI as a Late News paper. Congratulations to Wonil! "First Demonstration of Ge Ferroelectric Nanowire FET as Synaptic Device for Online Learning in Neural Network with High Number of Conductance State and Gmax/Gmin" work, was accepted by 2018 IEDM. Congratulations to Gang and Wonil for receiving 2019 Bilsland Fellowships ! Congratulations to Lyu Xiao and Mengwei! HfZrO2 scaling paper was accepted by VLSI 2019.